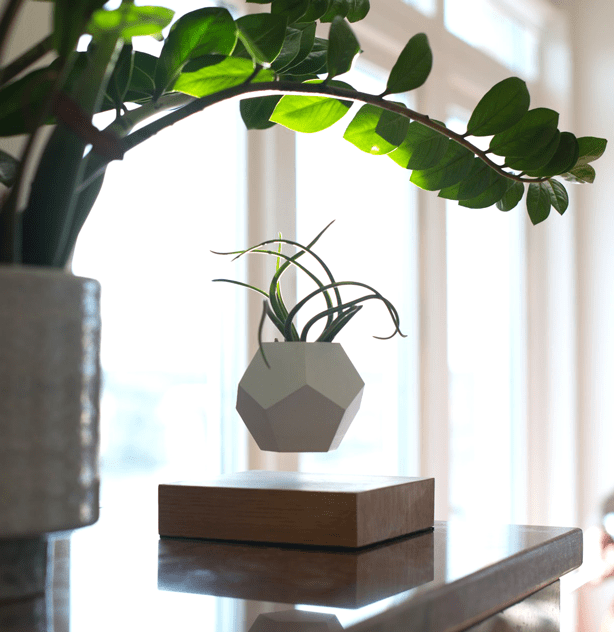 Based on “maglev technology,” the silicon molded Lyfe uses a custom shaped magnet that pushes up against its electromagnetic base to levitate the planter in mid-air. Some studies indicate that magnetic fields can enhance a plant’s metabolism and even accelerate the ripening of certain fruits. 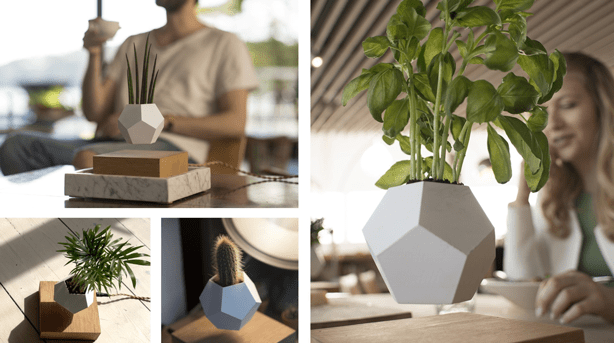 Propelled by the idea that the earth’s magnetic field has powerful effects on all life forms, Lyfe’s designers began investigating the effects of magnetism on plants. To mitigate against over-watering, Lyfe incorporates a drainage system that enables water to drain into to a hidden inner reservoir. 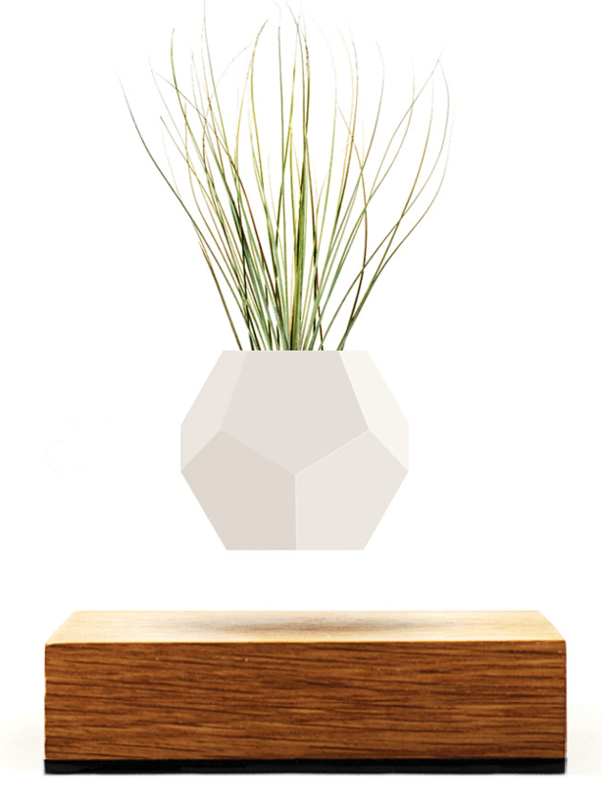 Bonus trivia: Swedish botanist Carl Linnaeus named the genus of air plants Tillandsia after the Swedish physician and botanist Dr. Elias Tillandz. The Lyfe is available for $299 at Uncommon Goods. 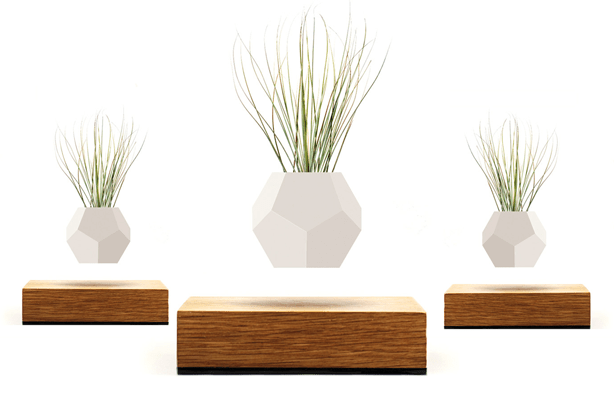 Air plants not included, but you can purchase them here. 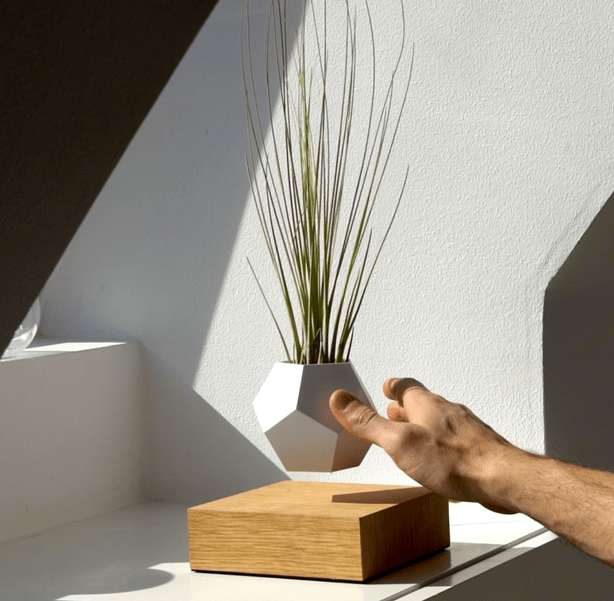 A similar concept in a wood bowl, the Caohe planter is also a magnetic floating planter for plants of your choice including bonsai and herbs.